Please accept my sastanger pronam. Hope you are keeping well. I have not heard from you for a long time. This is causing some anxiety to me. Please reply. I felt an uncontrollable urge to read about Vishuddhanandaji today and found to my surprise a wonderful article on this Guru who knew God well. It makes interesting reading as the author, late Swami Lokeshwaranandaji Maharaj has intermixed his personal experiences with the sage’s life incidents. Hence I am happy to share this article with all avid readers of this blog. This article was originally published in Vedanta Kesari of May, 1971 and I am grateful to Swami Atmashraddhanandaji, the present dynamic Editor for making it available from the archives. I do not remember when I first saw Swami Visuddhananda – it was, I think, sometime in the late twenties. Long before I saw him I had been hearing people refer to him as a great contemplative. Being young I liked men of action and thought rather poorly of a contemplative. Why should a man spend all his time thinking of God? I would argue, why should he not do something for the good of society also? Did not Swamiji preach service to man as a kind of worship?’ Yet I found people refer to Swami Visuddhananda with great respect and admiration. This rather puzzled me. How could people be so much enamoured of a man who was a mere contemplative’? I did not have to wait long for my answer, for I soon came to know Swami Visuddhananda personally and having once known him, had no difficulty in discovering the secret of his charm. I remember the first time I saw him. He was then head of the centre at Ranchi and had just come down to the Math to attend a meeting. Without knowing who he was, I felt drawn towards him at first sight. It was his fine chiselled face, auburn complexion and poise that attracted me. He was not imposing, not even striking by any standard, but there was an aura of sweetness around him which one could not but notice. When I was introduced to him, I was a bit nervous, but he soon put me at ease by treating me with utmost affection and by speaking to me as if he had known me a long time. He was a soft-spoken man who knew also the real art of conversation, for he never spoke much himself, but made others speak as much as they wanted to speak, himself putting in a word or two when he must. Having known him once I began to watch him closely, for I wanted to know what exactly was the distinctive quality he had that made him the object of universal love and respect. The first and most distinctive among all the qualities he possessed, as I observed, was that he led an organised and well-regulated life. Nothing could happen that would make him deviate from his well-thought-out routine which included, among other things, three-hours’ meditation in the morning and evening. I also noticed how tip-top everything in his room was. Not only was there not a speck of dust there, but the few articles he bad in his room – his clothes, books, bottles of medicines, one or two pieces of furniture, etc., all were well arranged. I also liked the way he dressed. There was a distinctive taste which was unmistakable. Another striking thing was his disinclination to talk about mundane affairs. He would gladly discuss a religious topic, but if the topic was non-religious, he would probably refrain from making any comments. It was also interesting to note that whenever he talked about religion, he would talk about it from the practical point of view and not so much about its theories. He would make religious experience seem not only the most desirable thing in life, but also a thing easy of attainment, as if even you and I could have it if only we tried. In his religious talks there would always be a fair sprinkling of quotations from popular religious books, specially the Gospel of Shri Ramakrishna and anecdotes from the lives of saints of all religions, so that it was always interesting to listen to him. He would disclaim any pretension to being a good speaker, but, in reality, he was a very interesting speaker, always to the point, brief and inspiring. He never made any attempt at oratory; he in fact spoke as if he was talking to a group of friends across the table. He spoke from the heart and his simple words, backed by conviction, appealed to monks and laymen alike. Swami Visuddhananda was born at a village in Hooghly District about 50 miles from Calcutta in the year 1883. Having lost both his parents at an early age he was brought up by the relations of his mother. As a boy he was quiet, introspective and deeply religious. The question that often troubled him was: ‘What is the purpose of life?’ The question became more and more pressing as he grew in years. When he finished his school education in 1900 he became quite restless looking for an answer to this question. He often spent the whole day at what was then known as the Imperial Library (now known as the National Library) rummaging among books for what he thought might provide the answer he was looking for. The British Librarian, John McFarlance, struck by the young man’s seriousness of purpose, often helped him choose the sort of books that would help in his quest. It is not known if he directed him to it, but once Swami Visudhhananda came upon Maxmuller’s Ramakrishna – His Life and Sayings and this proved a turning point in his life. He went through the book with bated breath. He was elated to discover that Dakshineswar, the place where Shri Ramakrishna lived, was only 4 miles to the north of Calcutta. He lost no time to visit Dakshineswar and kept visiting it again and again. 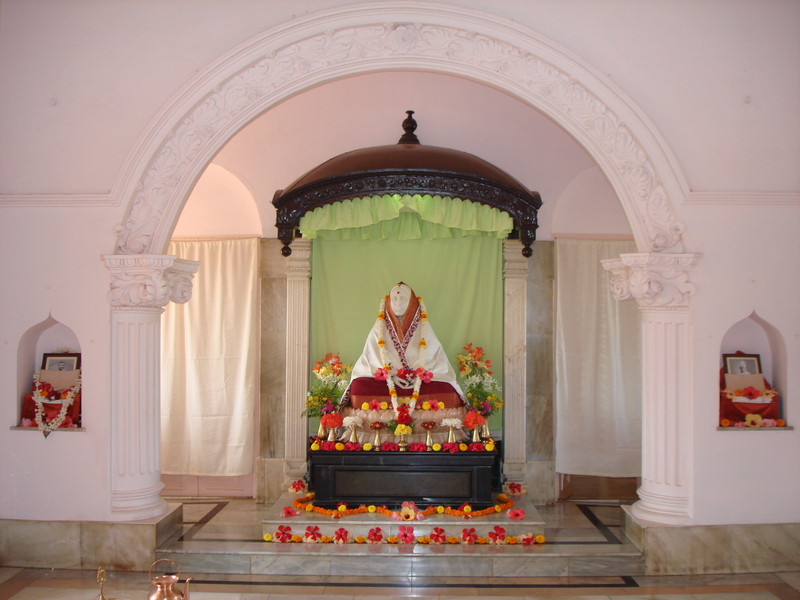 The place, hallowed by its associations with Shri Ramakrishna filled him with inspiration. Every time he went there he spent the whole day thinking of God. He soon came to know Ramlal, Shri Ramakrishna’s nephew, who was then the Chief Priest at Dakshineswar, Ramlal’s company gave him much impetus in his religious endeavours. Not long after this he came to know also M, the compiler of the Gospel of Shri Ramakrishna, when the latter came on a visit to Dakshineswar. M, in his inimitable way, talked to him about Shri Ramakrishna, adding further to the intensity of his longing for God. Previously, he used to have his meals at the temple of Dakshineswar, but M pointed out that it was wrong that he should thus tax the hospitality of the temple authorities. From then on the only food he would have was a one-anna worth of meal consisting of some flattened rice mixed with sugar and lemon-juice. While Swami Visuddhananda was once on a visit to Dakshineswar, Sarat Chakravarty, the disciple of Swami Vivekananda who compiled the book Swami-Shishya Samvad i.e., conversations between Swami and Disciple came there. Ramlal Chatterjee introduced Swami Visuddhananda to Sarat Chakravarty and the latter held him spell-bound by telling him stories about Swamiji. Once while he was thus talking to him, Sarat Chakravaty turned to Ramlal and asked him, ‘How is Mother? ‘ This led Swami Visuddhananda to enquire who this Mother was and when he discovered that this was Sarada Devi, he at once resolved to take the earliest opportunity to visit her at Jayrambati to pay his respects to her. So one day, not long after this, he started for Jayrambati following the route via Burdwan, walking most of the way. When, travelweary and dust-laden, he finally arrived at Jayrambati, Mother received him as if he was her dear child whom she was long expecting. She asked, ‘How are you, my child? Has the journey been very difficult?’ The warmth with which Mother said these words was a balm to his body and mind. He had never known Mother’s affection, but now he felt as if he had found the Mother he had lost as a child. He spent a happy week with Mother and then returned to Calcutta. Before he left Jayrambati, Mother graciously initiated him. The initiation increased his longing for God-realisation tenfold. It now became an all-consuming passion with him. He decided to leave home in search of God, but felt he must have Mother’s blessings before he did so. He, therefore, returned to Jayrambati for Mother’s consent within a few months. This time he walked the whole distance and had two friends with him who later came to be known as Swamis Girijananda and Shantananda. Mother was as warm as before, but when they declared that it was their firm resolve to live the lives of wandering monks depending upon what chance brought them, she firmly ruled it out. At their request, she, however, gave them Gerua cloth, but directed them to go to Varanasi to have their monastic names from Swami Shivananda who was then there. She handed them a letter introducing them to him and asking him to look after them. This was in 1907. Armed with her blessings they started for Varanasi walking the whole distance. It took them three months to reach Varanasi. Swami Shivananda welcomed them and they stayed there almost a year. It may be mentioned here that Swami Visuddhananda had his formal monastic vows from Swami Brahmananda at Varanasi in 1921. Sometime in 1908 he proceeded to Madras to assist Swami Ramakrishnananda in his work. Later he worked at Bangalore also for some years. In 1916 he was transferred to Mayavati where he served for nearly four years. While at Mayavati he was in charge of accounts for some time. 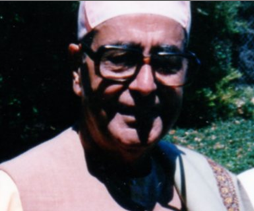 Referring to his work as accountant Swami Madhavananda once remarked, ‘He had a wonderful power of concentration. He totalled up figures without ever making a mistake; he would get the correct total at the very first attempt. 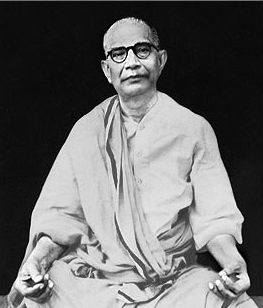 He was so sure of himself that he would not care to check a second time.’ After a brief interlude in Calcutta when he lived in close touch with Swami Brahmananda and when he was appointed a member of the Governing Body of the Mission and a trustee, he was again sent to South India for some years. After a year’s stay at Bhuvaneswar as the head of the monastery there, he was posted to Ranchi where he served continuously for a quarter century from 1927 to 1952. His life at Ranchi was the life of a recluse. He seldom, if ever at all, left the monastery or received visitors. 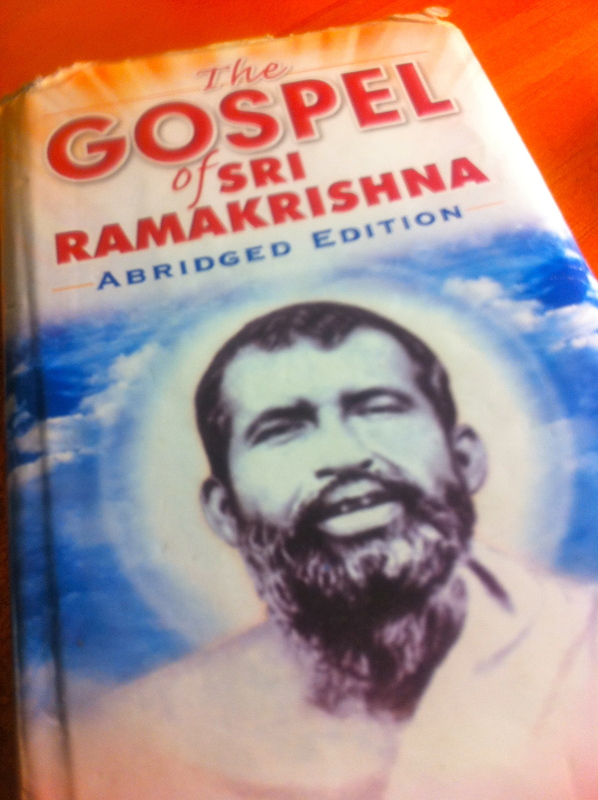 Only one or two select devotees could come once in a while to read with him the Gospel of Shri Ramakrishna. Most of the time he would keep himself immersed in meditation and study. There are people living who bear witness to the austerity of his life and the state of God-consciousness in which he lived there. Some of them feel blessed that they knew him then and refer to those days with joy and gratitude as if they themselves were privy to the religious experience of this great soul. A road bears his name as a tribute of the people of Ranchi to his memory. Swami Visuddhananda visited Assam more times than any President or Vice-President of the Ramakrishna Math and Mission before him did. Mentioning this with pride many people in Assam claim that their State occupied a special place in the heart of Swami Visuddhananda. Whether this is true or not, the fact remains that his visits created a religious ferment in both Bengali and Assamese populations, large sections of whom flocked to him as if drawn by a magnet. People who saw him then still remember him as if he was a symbol of a great experience. 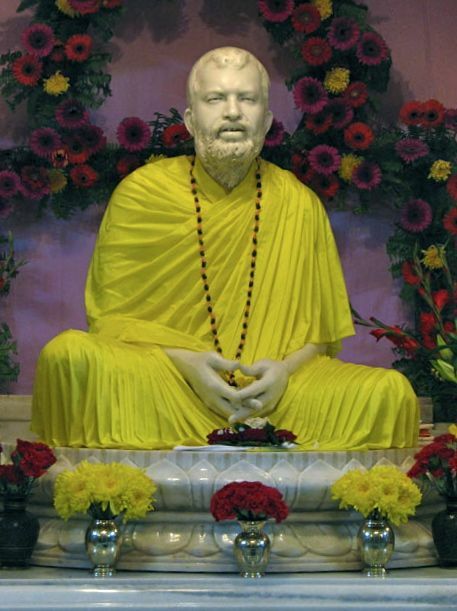 If there are today a large number of Ramakrishna Ashramas throughout Assam, it may be attributed largely to the influence of Swami Visuddhananda. He set in motion the powerful Ramakrishna Movement which is now sweeping through Assam and its neighbouring States in the Eastern Region. In the year 1962 Swami Visuddhananda succeeded as President of the Ramakrishna Math and Mission following the death of Swami Sankarananda. He was already eighty and his health was indifferent, yet when the call came to him. to shoulder the responsibilities of the office of President, he did not demur. As President he stayed mostly at Varanasi where he had begun his monastic career sixty years earlier. He was now at the zenith of his monastic virtues. As usual he had many visitors every day. However taxing it might be for him to talk to them in his feeble health, he never turned away anybody. He continued to exhort people to try to realise God. So inspiring were his talks and so kind and affectionate he himself was that many people visited Varanasi from Calcutta and other far-off places merely to see him and listen to his talks. For some years he had been having trouble with his urinary system and doctors had advised an operation. At first he was unwilling to have the operation, but when the trouble persisted he decided in favour of it. He came down to Belurmath and soon entered a nursing home. Before leaving for the nursing home he approached almost everybody at Belurmath with folded hands and begged for forgiveness for any offence he might have given him. The behaviour was unusual, but no one thought that this was his final leave-taking. On June 13, 1962, he had his operation performed by the best surgeons of Calcutta. Contrary to everybody’s expectations his condition began to deteriorate from the midnight of the 15th and on the 16th morning he passed away. His lips were seen moving and his hands were joined together across his chest. Even his last moments were marked by his God-awareness. Two incidents may be mentioned here which serve as a pointer to what made Swami Visuddhananda the man he was. Once a vain young man who had atheistic leanings asked him, ‘Sir, have you seen God?’ Swami Visuddhananda, instead of giving him a direct answer, told him that since religious men of all countries and all ages had claimed that God existed and He could also be seen, it was wrong to have any doubt about His existence. The young man was not satisfied with this, but asked, ‘I want to know, Sir, if you yourself have seen Him.’ Again Swami Visuddhananda spoke at some length about how God answered one’s prayers, if one was earnest enough and how if one sincerely wanted to see Him, one could surely have His vision. Swami Visuddhananda thus parried the question a few times, but the young man was insistent and kept asking if he himself had seen God. At this impertinence of the young man, the atmosphere became tense and people present held their breath, worried about how Swami Visuddhananda was going to react. As people looked, they were amazed to see a great change slowly come over Swami Visuddhananda; he looked as if a halo surrounded his body. In words ringing with conviction he said, ‘I have seen God as I see my own limbs.’ A hush fell over the awed audience. The cheeky young man sat speechless. Without a further word, Swami Visuddhananda retired to his room and was not seen for the rest of that evening. People returned home with a sense of having experienced something breath-taking. The next incident happened when Swami Visuddhananda was staying at Varanasi towards the close of his life. A leading surgeon of the town happened to lose his son, and this so upset the surgeon that he was no longer able to attend to his patients. He in fact was so distraught with grief that he was not even his normal self. Everybody in the town felt distressed at this because the surgeon was extremely popular. Also, there was nobody in the town who could match his skill as a surgeon which meant that the entire population in the town felt helpless without his services. Swami Visuddhananda who knew the surgeon felt sorry that the surgeon should thus suffer and with him also the citizens of Varanasi. He was so moved that he declared that he would gladly forgo the fruits of his life-long prayers if that would make the surgeon normal and enable him to serve the community as before. Strangely enough, the surgeon began to show signs of recovery soon after this and within a week be was able to resume his work. One day he appeared before Swami Visuddhananda and said, ‘Sir, I have just completed a very difficult operation and I think it is going to be successful.’ He came to give him this news as if he knew that his recovery was due to Swami Visuddhananda. The happiest man on hearing this news was Swami Visuddhananda. Previous Post: Shubha Sri Rama Navami! I bow down on your holy feet Maharaj! Just a word, Maharaj, to say what a joy to read this blessed report! I am awaiting for the next article. I say to you again all my gratefulness for divine presence of my spiritual path. I am happy to see your commenting. Even though you had to take the help of Translator software, your devotion to Master just makes it possible to do so. How wonderful your persistence is! Thanks for visiting this blog! May Master guide you ever is my prayer! I feel inspired to read this beautiful article on the life of Swami Visuddhanandaji. I am so grateful for your selflessness in sharing it. Thanks for visiting this blog! Happy to know that you felt inspired by reading this Post. I too enjoyed your website. 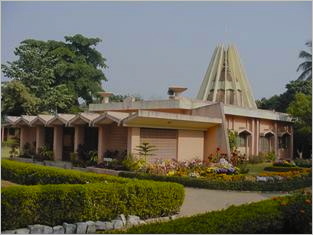 I hope you know that Ranchi, where I was for long years before coming to South Africa, has Paramahamsa Yoganandaji’s Ashram. We and the monks there had close interaction. May Paramahamsaji guide you ever in your sadhana is my prayer! Many thanks for sharing these awe-inspiring anecdotes about Swami Visuddhananda. Swamiji saw fit to divulge his great spiritual experience with a man who appeared unworthy! Swamiji was prepared to relinquish the fruits of all His prayers to ease the pain of others! Such selfless generosity! Indeed, the very first reading of this article made my hairs stand on end! Such powerful emotions were created in my mind. Of course I spent 12 years in the holy company of another sadhu in Ranchi who was very intimately connected with Vishuddhanandaji. He did narrate many incidents from his life when the spiritual intervention of Vishuddhanandaji ‘saved’ him from many a peril. Thats how the sages live for others. May Sri Gurudeva guide you ever is my prayer! This was very inspiring. Also, so informative. The anecdotes tell a lot about great men and women. Thanks for visiting this blog! Happy to know that you were inspired by going through this Post. Yes, the lives and teachings of saints are not different. As the precepts so are the practices. Thats how their life incidents are really inspiring. May the Almighty guide you ever is my prayer! My sincere thanks to you as well as Mr. Hiru Mukherjee who gave you reminder for Revered Vishudhanandaji Maharaj’s birthday and also my heartiest thanks to Editor Maharaj of Vedanta Kesari. Maharajji! I came to know about Revered Vishudhanandaji Maharaj in your blog “Wishful(filled)dream” dated March 6, 2011. Again when I was reading about our Revered 8th President Maharajji’s life it was so much interesting and it was reminding me some old memories of my life in Ranchi where you stayed long part of your life. I came to know that Maharajji always used to discuss about spiritual matters. It reminds me when you used to come to our home from Ranchi, we used to call many devotees from our locality and you also used to allow spiritual discussion like this. Really Sadhu Sangha is very much needed in our daily life and when we do not get sadhu personally at least reading about their life gives us inspiration. Indeed what you have said is very true. A sadhu’s talks should always aim to divert the attention of the devotees from the ephemeral to the everlasting. The available distractions create enough disaster due to the mind being unnecessarily occupied with temporary objects. A little dwelling on God, induced by a saint brings immeasurable peace in people’s minds. Once the peace is tasted in small measures, the mind will restrain itself and turn to higher things in life. A collective gathering of devotees at any place whether its an ashram or home has always a salutary effect. I am happy that you remember our what is called ‘Home Satsangs’. There devotees have the chance to interact with monks by raising many a doubt and discussion in informal way clears lot of our misinformation. May Sri Sri Thakur guide you ever is my prayer! Thanks for your prompt reply! Your reply is a great blessing to me from you. Recently we passed through an occasion called ‘Phala Haarini Kaali Pujaa‘. So may I request you to kindly enlighten us in your blog regarding this momentous event. I am eager to know more in detail about this Kali puja. Hope you will keep my request. Life seems to be quite funny at times. Being in the core of the mundane world makes us mix with the worldly affairs – earning respect, job and money to satiate our image in front of the society becomes of utmost importance, and thus we rule out the importance of dis-attachment towards all this sham and pursue what is real- attaining a hundred percent submission to Master. I have been hazed like this, for quite sometime until I came across this article. With tearful eyes, I bow down to the greatest Sons of Master, and to you as you have provided thus with such an article. Need blessings Maharaj, so that this state of real becomes permanent, and so that the wavering mind is ruled off to one steady infinite state-to the realm of Sat-chid-Ananda! I am happy to see your bhavapurna -emotion filled- outpourings. The symptoms of God intoxication include swelling tears of joy on hearing the Lord’s name. As the saints sing “kripa hi kewalam”, we await that wonderful kripa grace praying with our pleadings ‘kobe hobe’ – when will that happen? Thousands of salutation for re-publishing this article. Another request: please sometimes tell us about Swami Madhabanandaji, Sankaranandaji and also Shantanandaji or any other Swamiji of old days. Each of those lives is so illuminating and inspiring! Yours seem to be a tall order! I have had unfortunately no opportunity to meet any of those praatah-smaraneeya (well deserving to be remembered in the morning – is this the right translation?!) names that you have written. You are right when you say that “Each of those lives is so illuminating and inspiring!”. It would be my endeavour and would gladly do so to get some of the anecdotal events from my seniors who have lived with them. After reading this article, I felt so blessed that both my Parent-in-laws were initiated by Revered Maharaj in 1958 in Digboi, Assam. On different occassions my father-in-law has taken Maharaj in his car and showed him different oil wells around Digboi, Duliajan. More than that my husband Sri Satyajit babu and his siblings on more than one occasion, got chance to sit at the feet of Revered Maharaj and got his blessings. Maharaj! please bless us so that we can spread the message of Thakur, Ma and Swamiji and be always at Their feet. Our pronam to you again. Indeed truly you are blessed! If not, would you have come into such devoted family? No. Its all His grace, the kripa that made you enter a family where the holy trio is adored and worshipped, where the sadhus of higher realisation walk in, where the members get chance to move with them. I understand even now your spouse Satyajit is carrying the torch further and your house in a foreign land has been a place of residence for the visiting monks! Trust you will pass the legacy onto the next generation. Om Namo Bhagavate Sivanandaya Namah! My humble pranam to you Beloved Swamiji! When the surgeon fell ill, Swami Visuddhananda showed his love for the entire community. It is also so amazing how you feel the work of God like the surgeon did. These articles are so inspirational – thank you Swamiji for these soul-stirring and awakening experiences. Paarvati devi is my Mother, father is Maheshwara – Shiva. Relatives are the devotees of Shiva and my own country is all the three worlds. The process of expansion of that once small circle into embracing the entire universe is the path of spiritual life that Vedanta speaks of. Hence, Vedanta eminently suits everyone and everywhere! Thanks for your concern, yes we are keeping warm as from yesternight its raining incessantly. How about your town – its very near to Drakensberg and must be snowing at this time. I shall be passing through Estcourt on the 15th to reach Glencoe by evening. There it must be severely cold!! Take care and keep everyone warm. God bless! Yes Swamiji, we are quite close to the berg. It was extremely cold out here the whole week. Today it is very windy but we have some sunshine to thaw out in. It did snow on the berg in the week and I am hoping to take a drive up to the mountains sometime during the weekend. We visit the berg areas every winter – the view is breath-taking in winter as well. Swamiji must dress warm for Glencoe as I do know that it does get very cold out there too. Will Swamiji be stopping in Estcourt? Thank you Swamiji for your everlasting prayer & blessings. This is very inspiring. Hope you are well. Nice to get a one-liner comment from you after a very, very long time. I know you are extremely busy. Are you still attached to RKMH at Itanagar? How is Kumkum and the daughters? Pranam maharaj on your lotus feet! Good that you liked this Post! Keep reading…practice your sadhana as prescribed by your Guru. May Sri Guru Maharaj guide you ever is my prayer! Reading the narrative on the life of Swami Visuddhananda is like taking a reverential dip into the holy river Ganga. One can palpably feel the mind and intellect being cleansed by the experience. My gratitude knows no bounds. Your allegory makes excellent reading! Swami Ramsukhdasji (of the renowned Gita Press) used to narrate how sadhu-sanga goes one step over holy Ganges bath. Weighed down by the sins of humanity, the sad Mother Ganga once went to Lord Brahma and enquired about her getting some relief. Lord Brahma then redirected her to Lord Vishnu. Pitying on Ganga as she was born of His big toe, Lord Vishnu, accompanied by Lord Brahma took her to Lord Shiva. Getting up from His deep meditation, Lord Shiva pronounced a way out. He called all the sants and mahatmas and ordered them to take a dip in Ganges whenever possible. And in that process, He said that Ganga will be relieved of her burden! ‘kshanamapi sajjana sangati rekha’ as Adi Shankara says, ‘holy company had in a moment too’ would make one cross the ocean of samsara! Thanks for inviting me to partake the wonderful nectar of Sri Rama’s name the other day when Pandit Mishraji from Varanasi made an indelible mark on our memory of the merit of ‘sadhu-sanga’ through his mesmerizing pravachan (discourse) at Chatsworth! May Lord Hanumanji be with you is my prayer! i always enjoy your blogs, letters and everything. I read with great interest the article about Swami Visuddhanandaji Maharaj. I used to go with my parents to Morabadi Ashram and would sit long near Swamiji`s feet. My mother was initiated by Swamiji. She was also from Hoogli. She felt a special connection being from the same place. Maharajji–it has been a long time since I met you in Dumri. May be thru God`s grace I will see you someday again. But, everytime, i read your blog, see your pictures, i feel great pleasure. Yes, Your parents were very dear to me. You said that your mother was initiated by Vishuddhanandaji. I think I am confused…Why you know, I was under the impression that her Gurudev was Virajanandaji Maharaj. She used to tell me that she was blessed with mantra diksha by him and much later when your father too had the inclination to visit Ranchi Morabadi, he was blessed by Vishuddhanandaji. And many a time your dad would tease your mother saying that she was ‘senior’ to him in spiritual life! Of course I remember to have seen in your parents home shrine the pictures of both the Swamis. And the medal that your mother was awarded by Virajanandaji was also there. Correct me if I am wrong. Yes, we met last in Dungri when you along with your brother Bhaskar, came with me to a rural village function. I hope you still remember that. I was amused when you had a garland of berries given by the tribal villagers with such warmth and love!! Hope you do visit India. How are your brothers? I am so happy to read your reply and correcting me my goof-up. Just after I sent the mail, I realized the mistake. Yes, you are correct, mother`s initiation was by Swami Virajanandaji Maharaj, and father was initiated by Swami Vishuddhanandaji Maharaj. I fondly remember that day in that village. After my dad passed away, my visits to India is few and far between. With my best regards and pronam. Many thanks for your beautiful expression! Whenever you give such wonderful quotes from our scriptures, please do give the English translation as many of our South Africa readers find it difficult to understand. It is sad to see that our Indian vernaculars are just fast disappearing here even at the colloquial level they are not being used. Indian families are increasingly taking up English in a big way, though there are some organisations continue to promote Hindi, Tamil etc. I remember my early days here in 2007 when I had to give all my Talks in English only, while my thoughts would rush either in Hindi or Bangla and I would take a few moments of ‘pause’ to mentally translate those words into English! Jas Thoreht Dhana Khala Itarãi. The swelling streamlets rush with great speed just as the petty would feel elated even with a small fortune. The water becomes turbid the moment it descends on earth, even as the Jiva (an embodied soul) is enveloped in Maya (illusion) as soon as he is born. Jimi Sadaguna Sajjana Pahi Ávã. Hoi Acala Jimi Jiva Hari Pai. The water coming from various directions gathers into a pool even as commendable virtues find their way into the heart of a noble soul. The water of the stream, becomes still once it enters into the ocean, just as the ego finds eternal rest on attaining union with God. How wonderfully Tulsidas puts the importance of sadhu-sangha through which commendable virtues can be added to the jiva so that it can obtain Hari finally! May the sayings of the saints be our eternal companion! Greetings on the auspicious Snan Yatra day. Thank you for this wonderful completion. This couplet was disjointed in my mind. Now, I shall remember better by your grace. I shall also remember to translate if ever I’m quoting in an Indian vernacular. Revered Maharaj, the concern over national languages is well-deserved. Because, although we have constitutional provisions for safeguarding Hindi and other vernaculars, yet surveys have shown that nearly half of our languages have disappeared in the past century or so. It is an unfortunate trend.